Truck accident attorneys play a vital role in ensuring the full and prompt compensation of truck accident victims who wound up injured or traumatized. However, not just any conventional accident attorney can deliver. 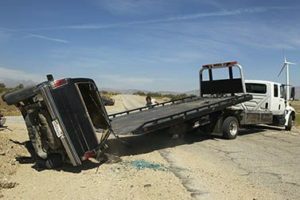 You may have to put your trust on a superb truck accident attorney to be guaranteed success as the case unfolds. If you are resident in Westminster, CA or have been involved in the accident in this area, you can hire a superb truck accident attorney at Rawa Law Group. Rawa Law Group has been marked as a superior legal firm with more than 55 years of combined experience in the business of standing up for injury victims. At Rawa Law Group, we are known for having some of the best accident attorneys here in California, who has helped injured victims get settlement running into hundreds of millions. We are at your beck and call and can meet you anywhere and anytime even at your house or hospital of treatment should the need arise. At Rawa Law Group, we pay special attention to our clients and ensure that they get the personal one-on-one attention they want from any of our specialized attorneys. While we handle your case, we keep you posted on progress made from the beginning to the finish. When you request for our services, we do not require payment until we have been successful with your accident case. Our attorneys also offer ethical legal counsel with no discreet charges. To hire a superb truck accident attorney in Westminster, CA, visit our address.